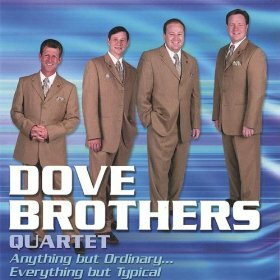 Carrying the tradition of old-time gospel groups such as the Thrasher Brothers, the Dove Brothers brought a young face to a genre that had been geared towards an older audience. The Dove Brothers began when lead singer McCray Dove broke away from his North Carolina home at the age of 17 to tour with the Dixie Melody Boys. He stayed on the road for 11 years, building his experience and learning from his fellow gospel singers until he felt that it was time to break out on his own. 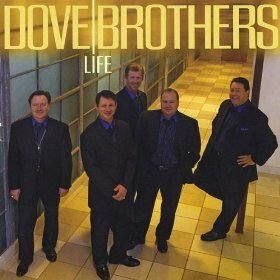 He formed the Dove Brothers in the late '90s with his real-life brother Eric Dove, as well as bass singer Burman Porter and tenor John Rulapaugh. Pianist Richard Simmons became an unofficial fifth member (they are billed as a quartet), and the five musicians signed to Homeland Records almost immediately after they formed. 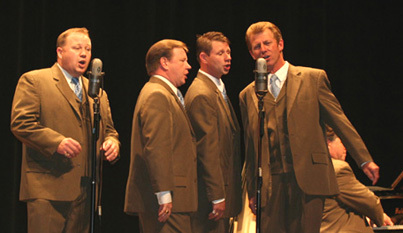 Their output was very successful, with their unique throwback style and current southern gospel sound they quickly become a household name in southern gospel music. The quartet has undergone several personnel changes and only Eric and McCray remain from the original quartet. 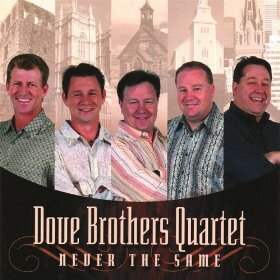 Current members of the Dove Brothers Quartet include McCray Dove, Eric Dove, Jerry Martin, Jerry Kelso, and David Hester. Over the years they have garnered many awards including Male Quartet of the Year by both the SGMA and the Singing News. They have been featured performers on America 's Gospel Favorites and presented a gospel song on each broadcast of the PBS series Carolin'as Calling. They have been the host group at the Grand Ole Gospel Reunion and featured performers on the Quartet Legacy Tour. Their current recording, Never The Same, is the group's most critically acclaimed and ground breaking album to date. They are best known for their hit songs "Didn't It Rain", "Get Away Jordan", "Just Another Hill", the number 1 hit "Anything But Ordinary, Everything But Typical" and their biggest hit to date "I Can Pray". The quartet embodies class and dignity singing music with complex arrangements and exciting choreography while providing great entertainment with a true spiritual emphasis. The Dove Brothers just tell it like it is! Jesus is the answer to every question, situation, circumstance, problem!